"The notion that we could condition Iran not getting nuclear weapons . . . on Iran recognizing Israel is really akin to saying that we won't sign a deal unless the nature of the Iranian regime completely transforms. And that is, I think, a fundamental misjudgment. . . . We want Iran not to have nuclear weapons precisely because we can't bank on the nature of the regime changing. "Obama just admitted that the Iranian regime is so radical there is no chance it would ever concede the right of Israel to exist. He is right, of course. This regime promises another Holocaust after all. Given that, how can Obama or anyone else trust that regime to keep its promises in a nuclear deal, even if the deal were good, which it isn't? In what world does this make any sense? 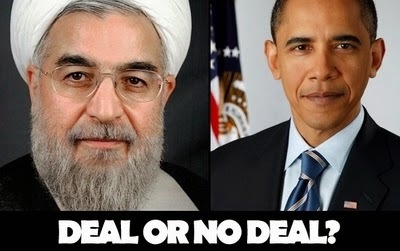 Iran Vows To Break Deal - Today, reports demonstrate the futility of Obama's outreach to Iran. According to the Iranian FARS news agency, the Iranian foreign minister and the head of Iran's Atomic Energy Organization told the Iranian parliament yesterday that Iran would begin using its most advanced centrifuges "as soon as a final nuclear deal goes into effect." Iran's IR-8 centrifuges are capable of enriching uranium 20 times faster than the ones it reportedly agreed to use. 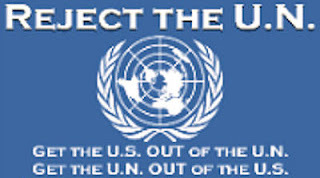 The Times of Israel warns, "If accurate, the reports makes a mockery of the world powers' much-hailed framework agreement with Iran, since such a move clearly breaches the U.S.-published terms of the deal, and would dramatically accelerate Iran's potential progress to the bomb." In today's Wall Street Journal, former Secretaries of State Henry Kissinger and George Shultz write that the Islamic regime has mixed "shrewd diplomacy with open defiance of U.N. resolutions" turning "the negotiation on its head." They note that since negotiations over Iran's nuclear program began, Tehran has exponentially increased its centrifuges from 100 to nearly 20,000. Any regime that has the blood of American soldiers and civilians on its hands, calls for the destruction of Israel and calls us "the great Satan" cannot be trusted. Why Hezbollah & Hamas Are Happy - Hezbollah leader Hassan Nasrallah is downright jubilant over the Obama/Iran nuclear deal. Why should Hezbollah care? Among the many concessions Obama made in the talks was an agreement to immediately lift certain sanctions. According to various reports, that means releasing as much as $150 billion in frozen Iranian foreign assets. Nasrallah knows exactly what that means: More money for Hezbollah and Hamas. During an interview Monday, Nasrallah said, "Iran will become richer and wealthier and will also become more influential. A stronger and wealthier Iran . . . will be able to stand by its allies, and especially the Palestinian resistance, more than at any other time in history." This reality flatly contradicts Obama's rhetoric. He has repeatedly insisted that these nuclear negotiations are completely separate from every other issue -- whether its Iran's miserable human rights record, its refusal to recognize Israel or its aggression throughout the Middle East. But they are inextricably connected. By giving the world's leading state sponsor of terrorism access to hundreds of billions of dollars, Obama is fueling Iran's aggression. Those funds will be unleashed against Israel and pro-Western Arab nations. Again, I have to ask, in what world does this make any sense? Tags: Gary Bauer, Campaign for Working Families, misjudgment, President Obama, Secretary of State John Kerry, Iran Nuclear Deal, Iran Vows To Break Deal, Hezbollah, Hamas To share or post to your site, click on "Post Link". Please mention / link to the ARRA News Service. and "Like" Facebook Page - Thanks!